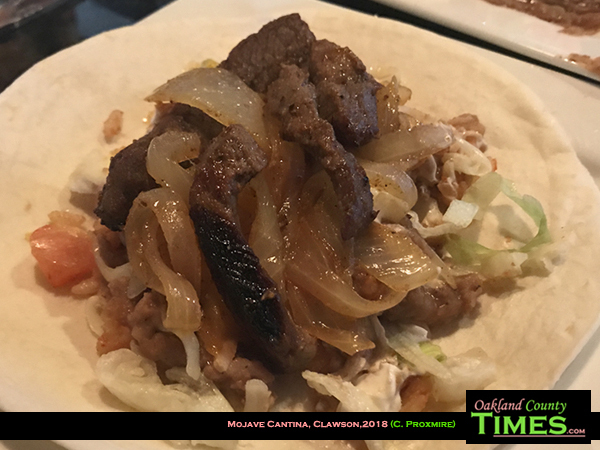 Clawson, MI – Mojave Cantina in Clawson was a great choice for a pre-meeting feast. 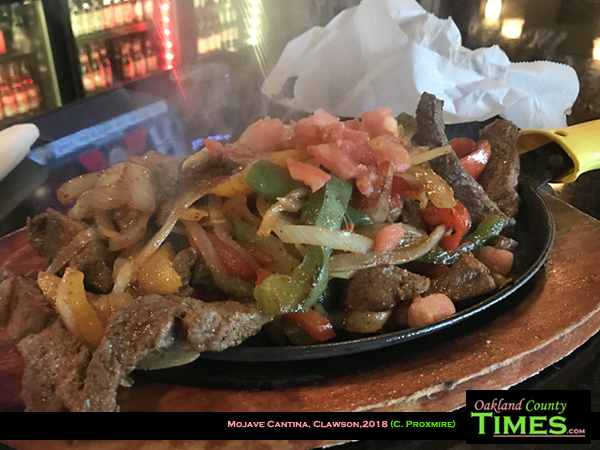 I ordered their steak fajitas which came sizzling hot on a cast iron pan that included peppers and onions. The other toppings were also fresh and delicious, including beans, rice, lettuce, tomatoes, a muenster cheddar blend of cheese, and sour cream. The tortillas were soft and warm, making this meal all-around good comfort food. The Mojave Sunset was a perfectly sweet and summery pairing. 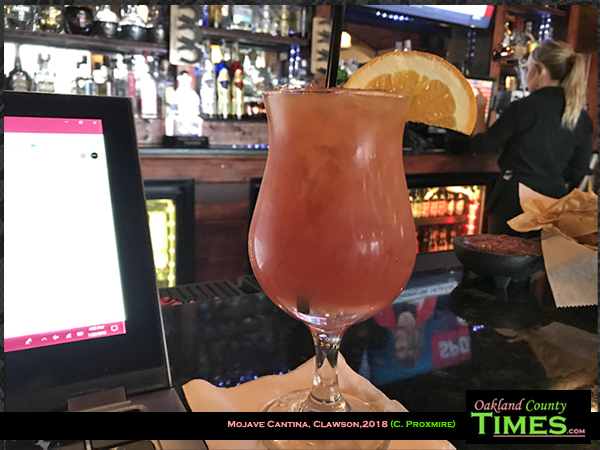 This fun drink was made with mango rum, Kraken black spiced rum, orange juice, cranberry juice and peach puree. Absolutely delightful. Previously I’ve written about their Mexican Cobb, fried ice cream and caramel apple martini. Read about those tasty bites here. 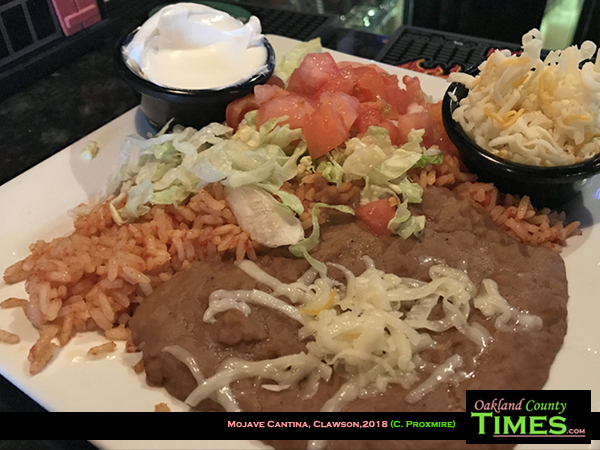 Mojave Cantina is located at 48 W 14 Mile Rd, Clawson, MI 48017.